JDN Trolleys are available for both the PROFI and Mining Air Hoists as a manual option (LN) for pushing or pulling by hand. 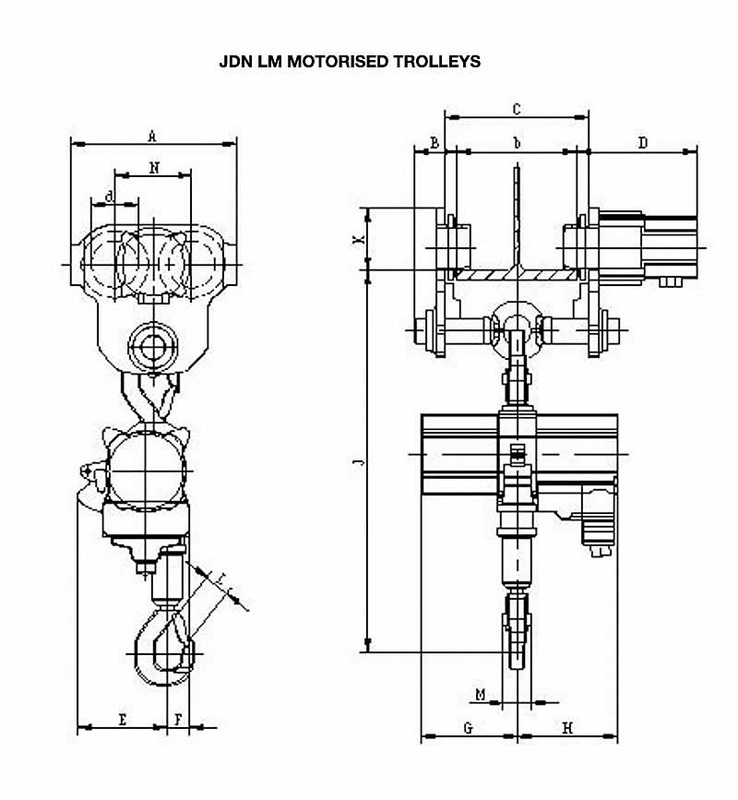 Geared trolleys (LH) are also available for load movement by operating the hand chain mechanism and JDN also offers a motorised trolley (LM) which is powered by an air motor. The carrying capacities go up to 20 tonne. 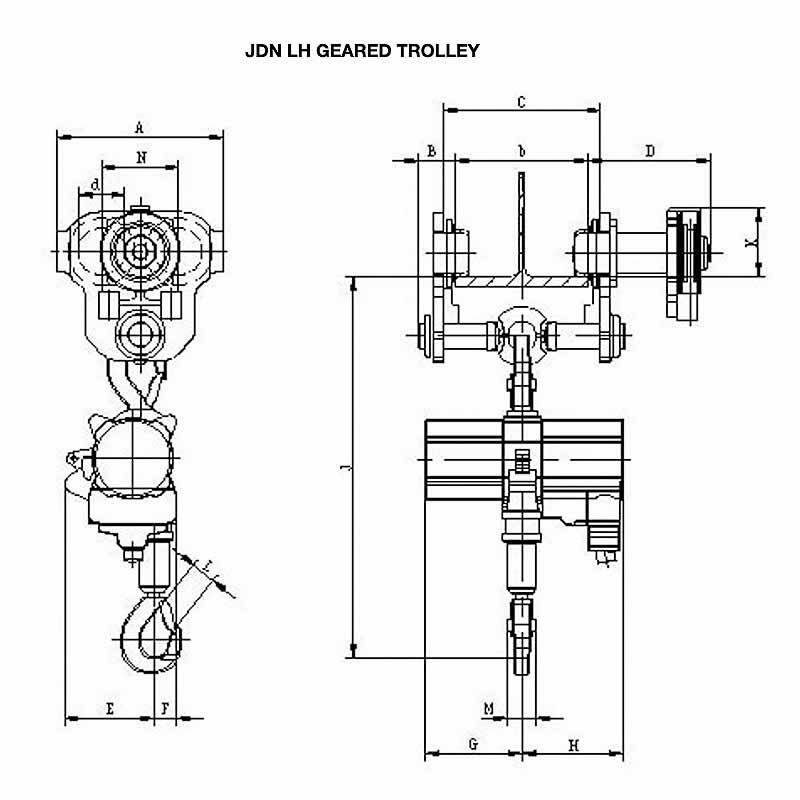 All JDN trolleys are manufactured to comply with AS1418.2. Fitted with Anti-climb and anti-drop devices as standard. Robust manufacture requiring little maintenance. Rack and pinion drive and spark resistance package available as options. Four coat epoxy paint finish available for offshore protection. 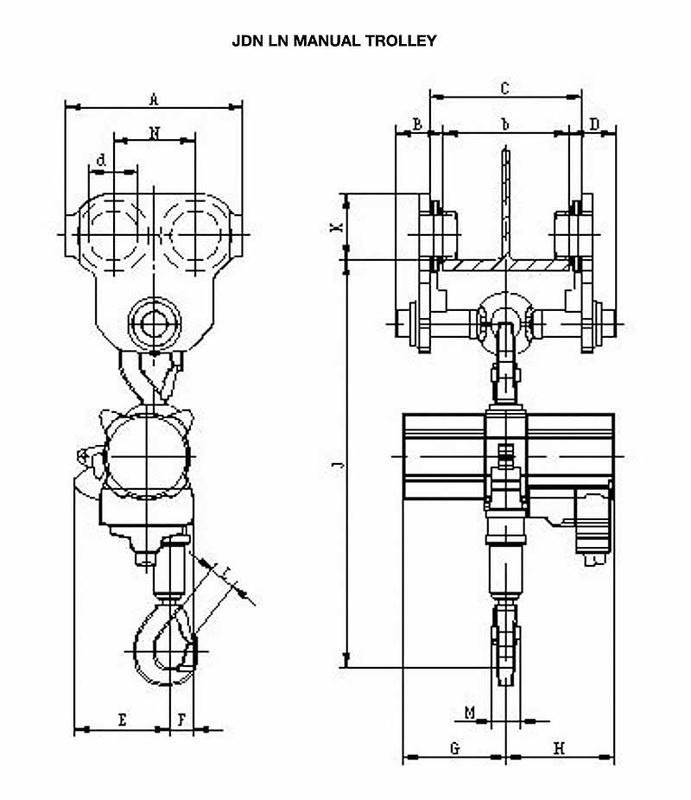 The air supply can be fed by various systems; energy chain, c-rail, square rail, spiral hose or hose trolleys. *Chain buckets increase the hoist headroom.